Last weekend I went on an impromptu trip to Florida to see my parents. We cooked, hung out, and relaxed. It was wonderful. One of the perks of the weekend was enjoying true spring weather and seeing the sun – we haven’t had a ton of sun in DC this winter. Another plus was being able to gorge on fresh Florida spring fruits like strawberries and blueberries. Not flavorless like they are here, and not super tart they were perfectly sweet. And so, my berry snacks have inspired me for this weekend. There is something so lovely about the freshness of a new season and the first crop of sweet fruit. I hope you have a beautiful weekend with lots of sweetness and joy. 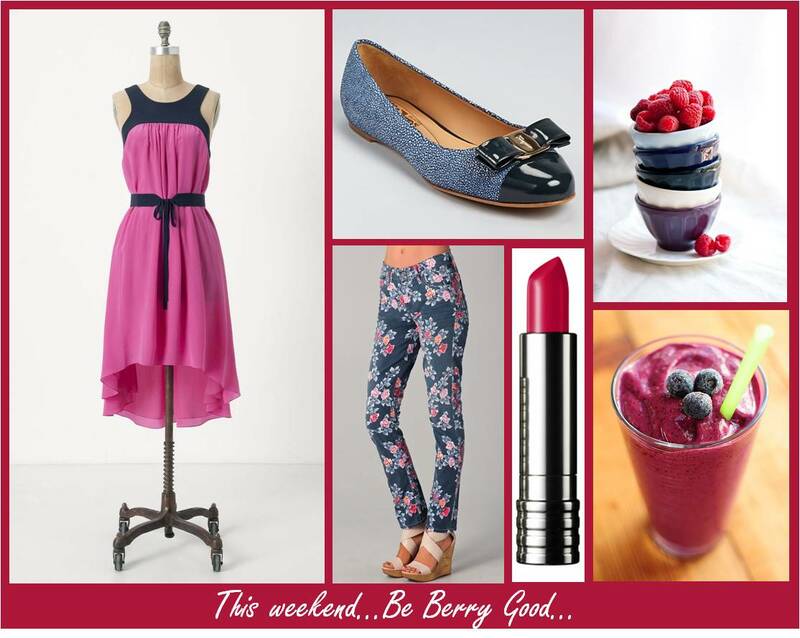 This entry was posted in Family, Fashion Inspiration, healthy, Her Closet, Her Inspiration, Her Kitchen, Spring and tagged blueberries, florida fruit, spring inspiration, strawberries, weekend post. Bookmark the permalink.